In the last couple of months I do get more requests to move TFVC version control history to a git repository in Visual Studio Team Services (VSTS). The migration from TFVC to TFVC is at the moment possible via the TFS Integration Tools and is not that straightforward to accomplish. 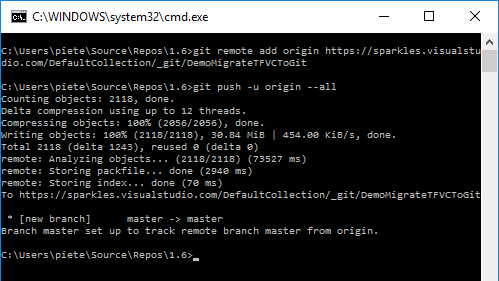 Migrating to a git repository is much simpler and is certainly the way to go if you were already planning to adopt git in the future. The migration can be done via Git-TF which is a set of cross-platform command-line tools that facilitate sharing of changes between Team Foundation Server, Visual Studio Team Services and Git. Call git-tf clone to push all TFS changeset info from TFVC to a new local git repo. 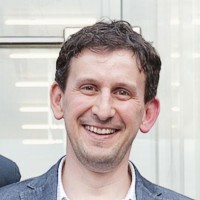 The first argument is the Team Project Collection url. You pass the TF version control path to the exact branch in the second argument and you end the command with the “deep” flag to ensure that the full history of the branch is moved into separate commits in the git repo. Pass your credentials to connect to TFS and execute the command. Once you have a local git repository it’s easy to push it towards an empty central VSTS git repository. First use the git remote add command to link your local git repo to the remote “origin” and afterwards you can push all changes via git push. Navigate to the Code Hub in your VSTS Team Project and you should see all code history inside the git repo. What’s a big plus is that the original changeset date/time stamps are now part of the git commit info. 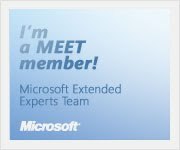 You are currently browsing the Into ALM with TFS/VSTS blog archives for the day Thursday, June 9th, 2016.